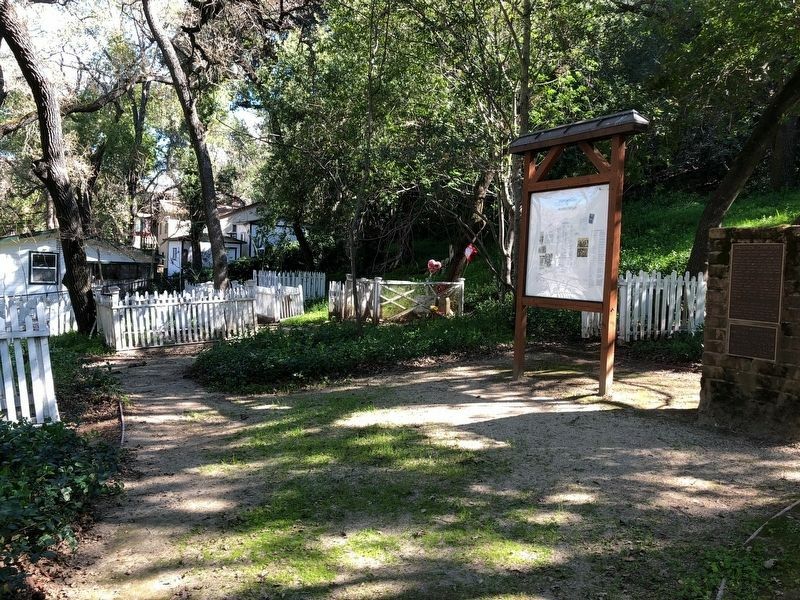 On the east bank of Los Alamitos Creek, with graves dating back to the 1800s, lies the final resting place for Quicksilver Miners and their families. 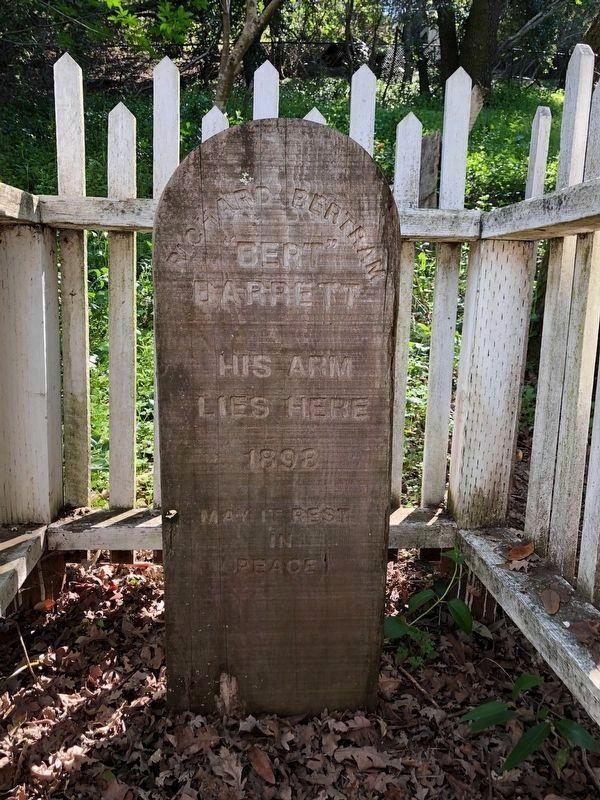 A wooden marker notes the burial site of Richard Bertram Barrett's arm, lost in a hunting accident at age 13. Location. 37° 10.637′ N, 121° 49.21′ W. Marker is in San Jose (New Almaden), California, in Santa Clara County. Marker is on Bertram Road near Cinnabar Hills Road, on the left when traveling north. Touch for map. Marker is at or near this postal address: 21443 Bertram Road, San Jose CA 95120, United States of America. Touch for directions. 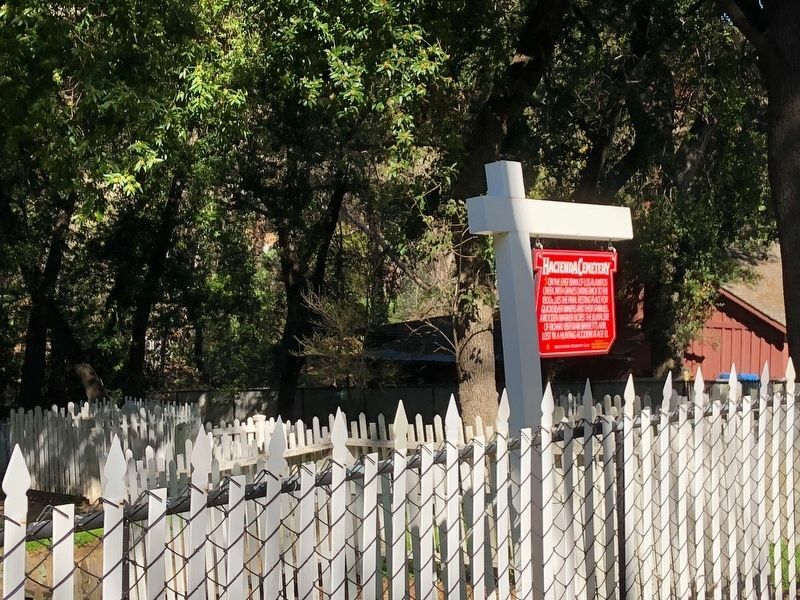 300 feet away); The Randol Family Home (about 400 feet away); New Almaden Quicksilver Mine (about 400 feet away); Casa Grande (about 500 feet away). More about this marker. 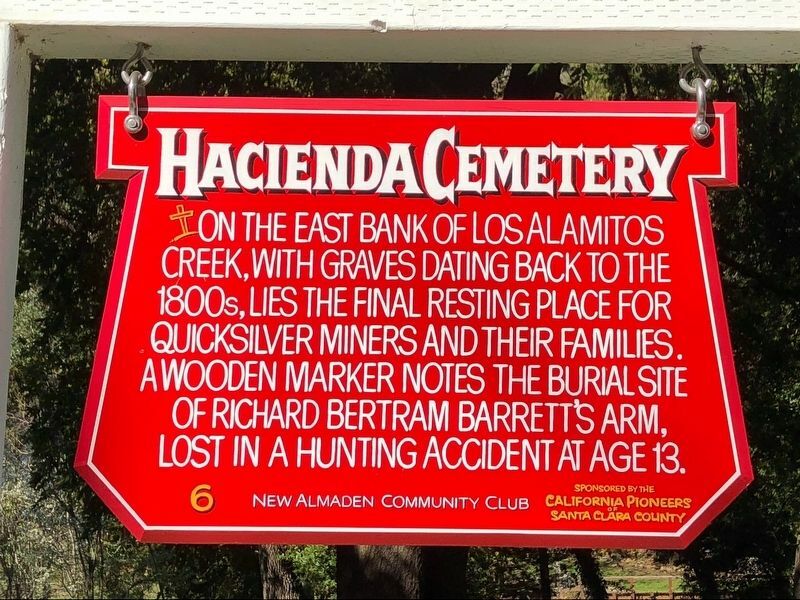 The Hacienda Cemetery is on both sides of Bertram Road. More. Search the internet for Hacienda Cemetery. Credits. This page was last revised on March 14, 2018. This page originally submitted on March 14, 2018, by Barry Swackhamer of San Jose, California. This page has been viewed 54 times since then and 4 times this year. Photos: 1, 2, 3, 4. submitted on March 14, 2018, by Barry Swackhamer of San Jose, California.